How much do you know about . . . 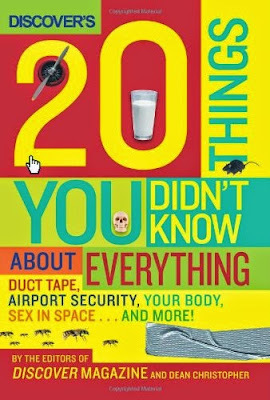 DISCOVER'S 20 Things You Didn't Know About Everything is the first book written by the editors of the award-winning DISCOVER magazine. Based on DISCOVER'S most eagerly awaited monthly column, "20 Things You Didn't Know About," this original book looks at many popular—and sometimes unexpected—topics in science and technology, and reveals quirky, intriguing, and little-known facts. Whether you're just curious or think you already know everything, this book is guaranteed to expand your mind.